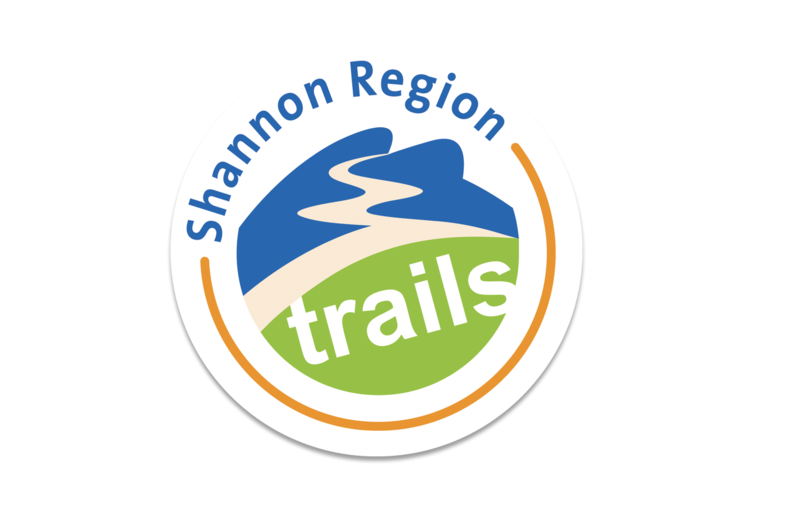 The Shannon Region is set in the delightful environment of the west of Ireland, part of Ireland’s Wild Atlantic Way. 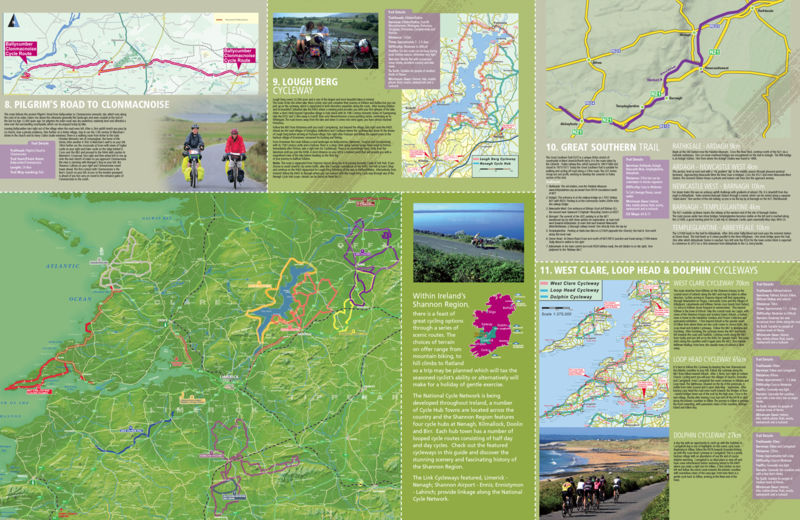 Popular as a tourist destination the area is most famous for sea activities, walks, cycling and attractions. 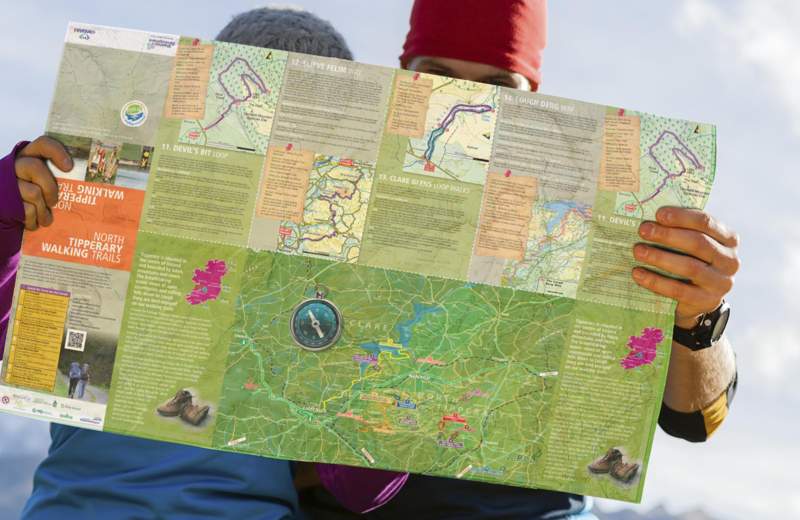 Many visitors to the Shannon Region arrive with a pre-conceived impression and are unaware of the full breadth and range of provision and amenities available. 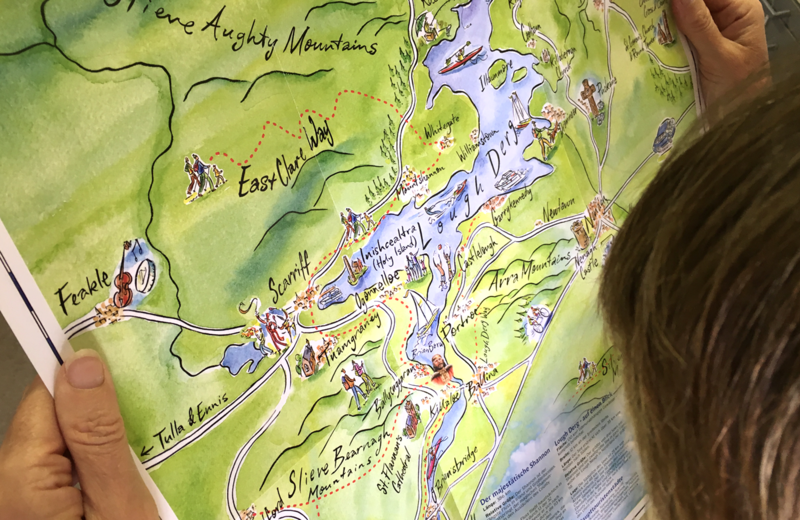 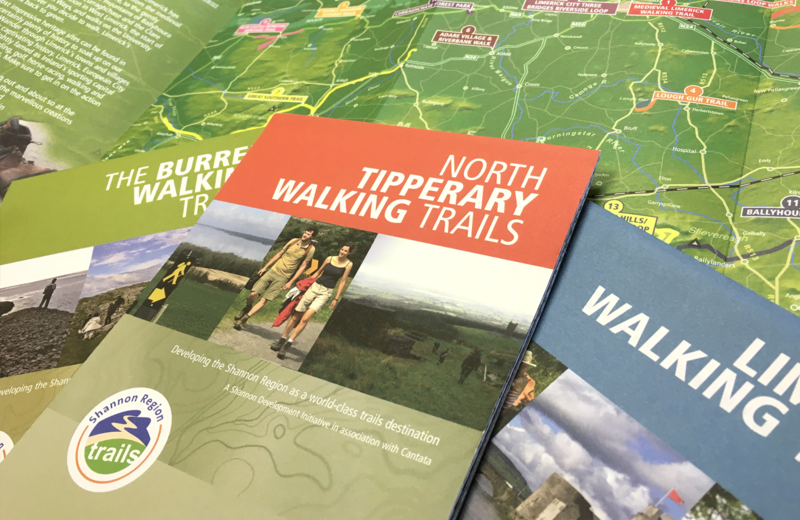 We were commissioned by Shannon Development with the creation of an extensive set of printed maps designed to promote the wider appeal of the area, highlight walks/trails/cycleways and key attractions presented in an attractive, engaging and accessible format.